Invite users to your account - Desktop – Welcome to the NextMinute support and feedback centre. 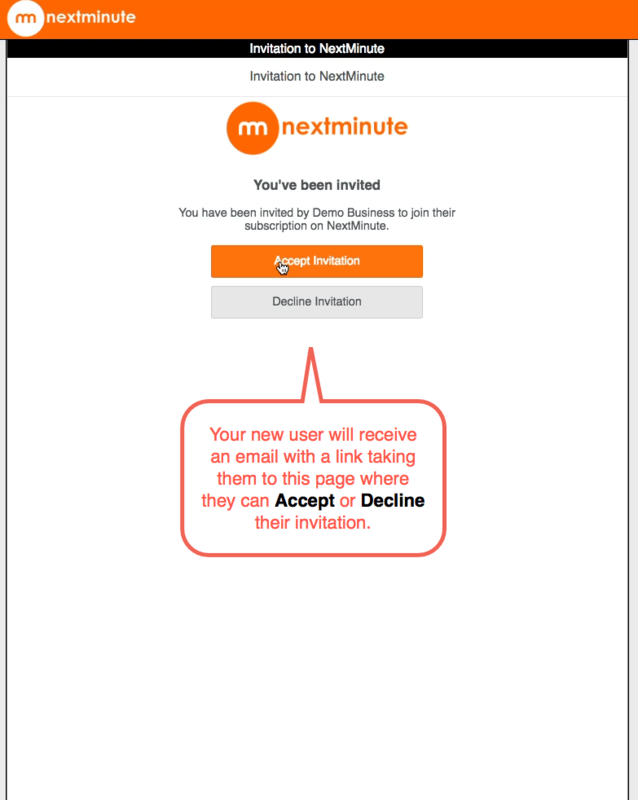 When getting started in NextMinute you will want to invite users from your team. Once using NextMinute as the business grows or changes you will want to add new team members. 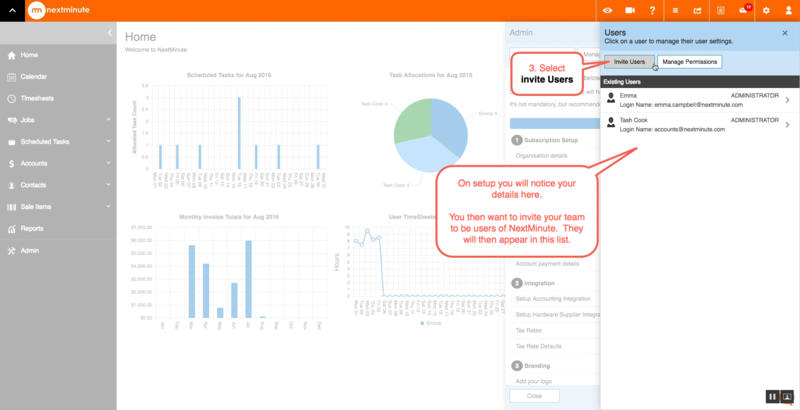 By inviting users to your account, you can then assign jobs and tasks, notify of work activity and they will have the ability to operate NextMinute in the field. 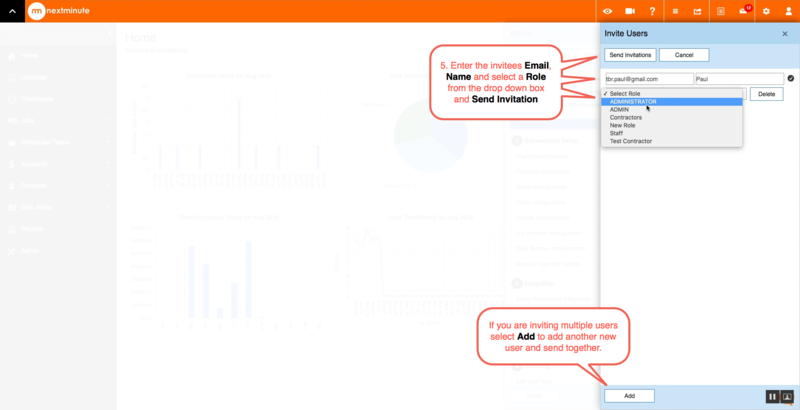 Here's a quick guide on how to invite new users to your account. 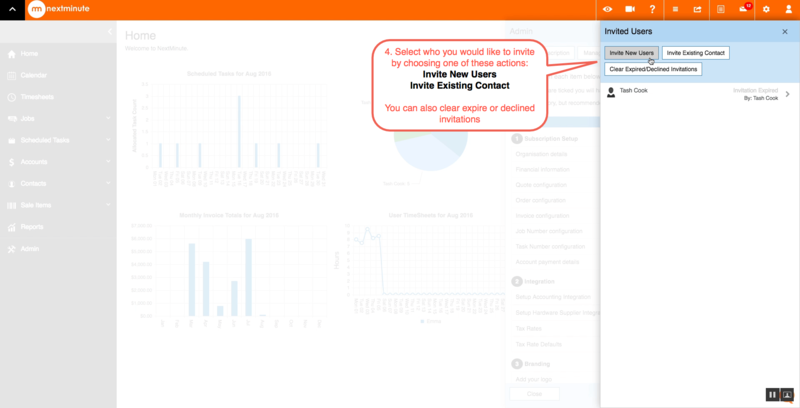 NextMinute gives you full control of how your team work in NextMinute. 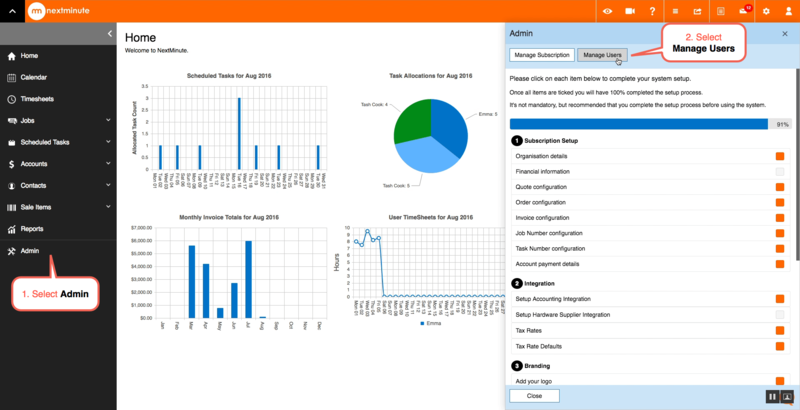 You can customise the users types to suit your business activity and you have the ability to manage user permissions. For example an Administrator would maintain full user permissions, however you may choose to limit or amend the users permissions for other team members or contractors. Please see our support article on how to Manage roles and user permissions.